During my almost 7 years stay in Cambodia, I've managed to buy a laptop and several netbooks. As an OFW, it is a must that you have your own personal laptop for your daily needs like your means of communication with your family and also to assist you in your professional needs. When it comes to computer shops in Cambodia, I am not so comfortable buying in any shop. Sometimes, I can't avoid but to doubt the authenticity of the products that I wish to buy. Since the first company that I've worked with in Cambodia was getting all computer supplies and equipment from PTC, I've decided to also get my personal laptop and other computer parts and peripheral from the same supplier. I think that I have made the right choice. 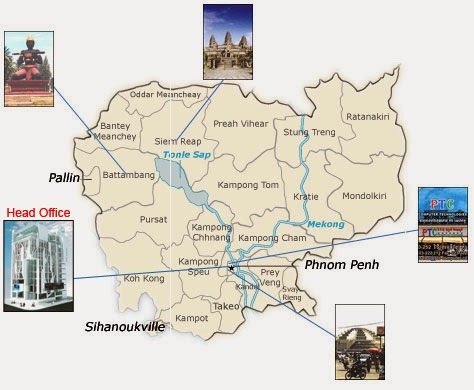 Not only PTC is a reliable computer shop in Cambodia, it also has several branches all over the country. I remembered that when I moved to my second company, my netbook had probably reached it's life span as I just woke up one morning that I can't power it on. I was staying in suburb then and going to the capital city is about 5 hrs drive away from my work place. It's a good thing that there is a PTC branch at the city of Battambang which is just more than an hour drive from my place. It's not as complete as the main branch in Phnom Penh though but you can get the basic things that you would probably need. Not that you could get a propellerhead software but at least it can cater to your needs in case of an emergency. I was able to get a Toshiba netbook on my last purchase and I'm happy to say that it's working just fine until now. So if you're happen to be touring at Cambodia and wanted to buy computer parts and equipment or you want your laptops repaired, I think it would be safe to go to this shop and by the way, they sell the most affordable, too.